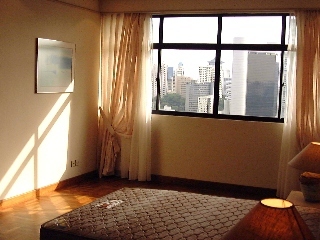 Kim Yam Heights has high windows, 10-min walk to Somerset subway. Mid-floor facing the Aspen Heights Condo. 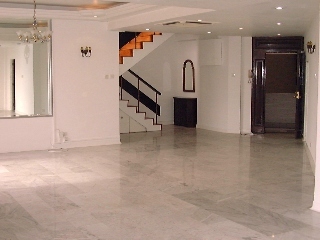 Living area has black granite flooring. Kim Yam Heights on the 11th floor, 4+1, 1669sf, 130 units. was completed in 1999. It is a 8-10-minute walk to the Somerset subway. See photo of living area above. Many TV/phone points. Wardrobe and kitchen cabinets- imported from Germany. Bright kitchen with windows. Kim Yam Heights. The beauty of the earth-colours contrasted by black granite counter top of Kim Yam Heights must be seen to be appreciated. swimming pool with spa, children's pool, barbecue area, saunas, tennis court, gymnasium & children playground. 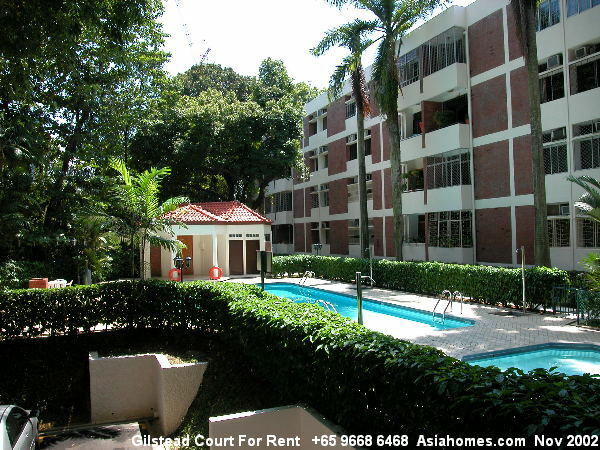 Very near to the UE Square shopping mall & Shop N Save supermarket (3-min walk). Daimaru, Great World City. Near restaurants and famous pubs in Jalan Mohammed Sultan. High floor units above 15th floor have good views. Able to see the river in Clark Quay and the sea. 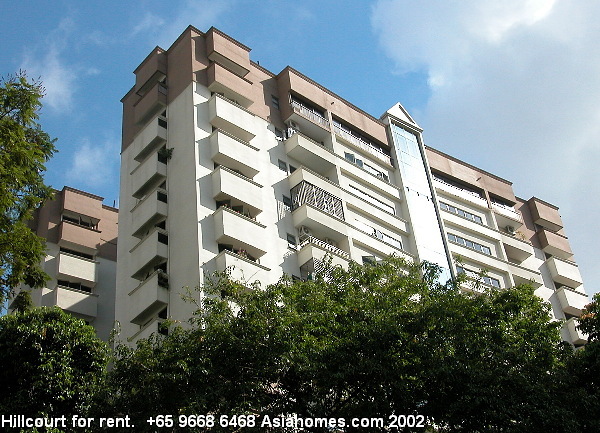 3 bedrooms 129, 136 sq m. Freehold. Living area - ceramic tiles. Security guards, pool, children's pool. Tranquil leafy area. Low rise and low density. Covered car parking. 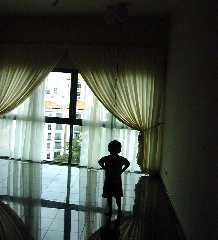 Big balcony and maid's room. 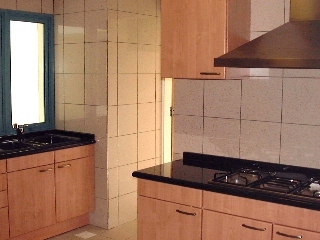 A few owners have renovated apartments beautifully with new bathrooms and kitchen cabinets. Suits expats who want space and who don't need marbled flooring and brand new bathrooms and kitchens. Newer condos usually have smaller sq. ft of live in area. 3+1, 1700 sq ft, $4500. 2-min walk Orchard subway. Elmira Heights has ceramic tiled living area. 3-min walk to Newton subway. New parquet flooring matted finishes and much bigger master bedroom with a view. 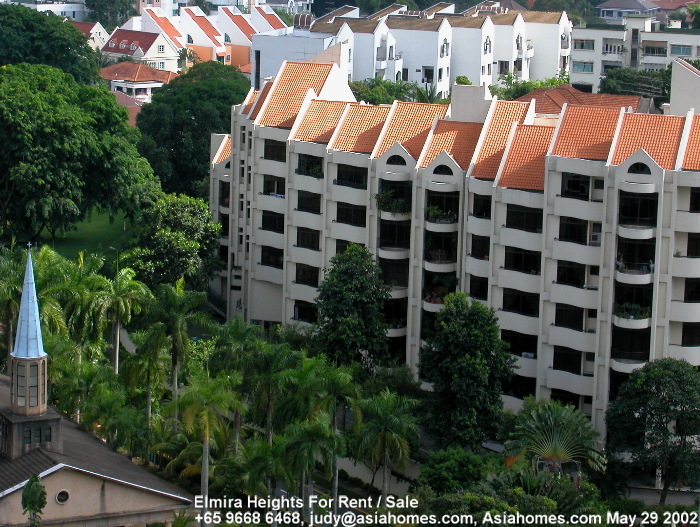 Elmira Heights. Afternoon sun gives light and makes master bedroom look bigger. This unit's master bedroom is 70% bigger in size than the ones in newer condos like the Kim Yam Heights. Bath tub and wash basin deep blue in colour unlike the snow white ones of Kim Yam Heights. White is the colour favoured by all expatriates if they are given the choice. 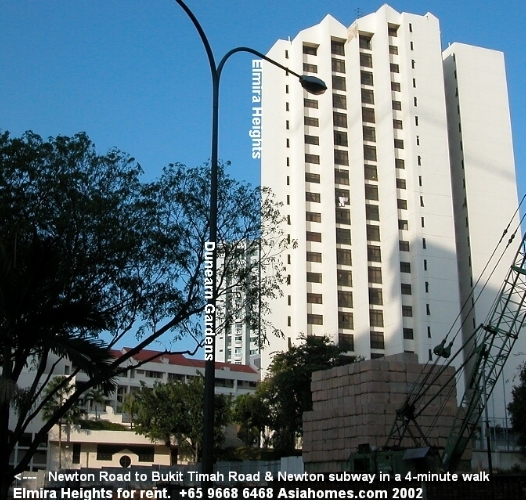 Paterson Tower has a very big living and dining area, 5-min walk to Orchard subway. 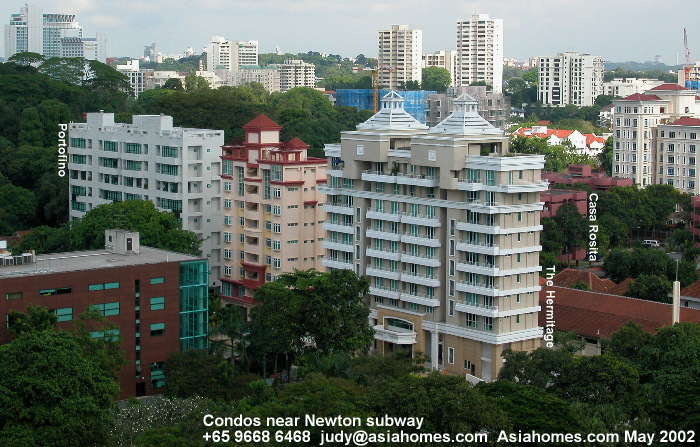 Paterson Towers duplex, known in Singapore as maisonette, 4+1, 2700 sq. ft at $5,200 rent. The maid's room is left of the main door. Upstairs, there are 4 bedrooms with 2 being attached to bathrooms. 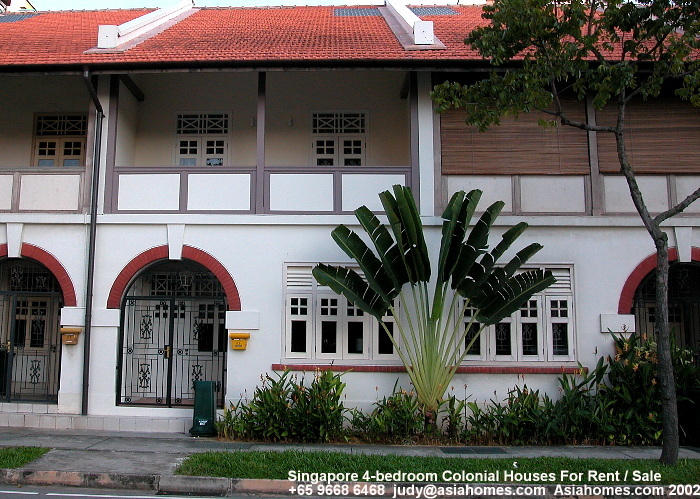 Low density and great location, being opposite the International Singapore School/Overseas Family School and 3-minute walk to Orchard Road and subway, the Borders Bookstore. 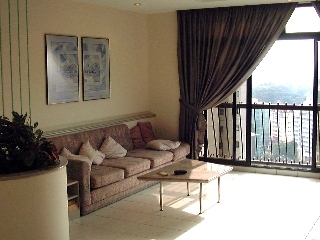 However, the interiors are not as classy as the newer but small condos. Great location and lower rentals.